CLOSED- Winner is Adrian H.
Can you believe we are almost halfway through the month of December? It has been so hectic around here getting our shopping done and attending holiday parties. We tend to always remember our family, friends, neighbors and coworkers when it comes to giving gifts. Don't forget your most loyal family member, your dog! 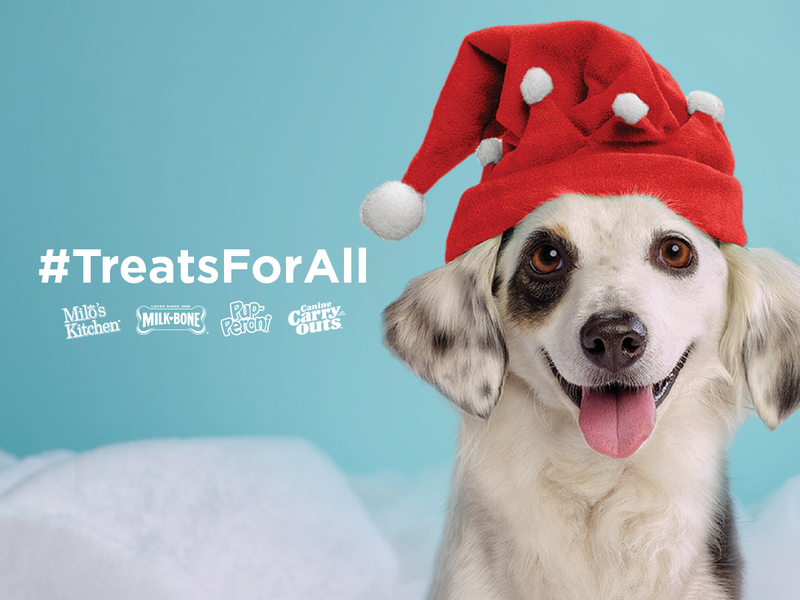 They are actually the easiest ones to make happy during the holiday season when you give the gift of treats. This Christmas, Rocco will be receiving a yummy gift basket filled with his favorite toys, a blanket and of course, treats! Milk-Bone, Milo's Kitchen and Pup-Peroni are his favorites. It turns out that I'm not the only pet mama to spoil her pup during this time of year. That's why I love this super cute website called TheNosePrint.com from Big Heart Pet Brands (the makers of Milk-Bone, Pup-Peroni, Canine Carry Outs, and Milo's Kitchen). They really know how to celebrate the holidays with your pup! On TheNosePrint.com, check out some of the fun doggy do-it-yourself ideas. You can make some of the most adorable gifts that don't take a lot of items to make and are actually simple to do. We give our neighbor's dogs treats as gifts each year and this year I will be making personalized treat jars for both of them. Of course, they will be filled with yummy treats! Be sure to check out the great articles on a variety of dog-related topics on the NosePrint. The folks at TheNosePrint.com have generously offered to give away a FREE Christmas doggy care package filled with some of the most delicious stocking stuffer treats for your pup. To be entered to win the care package, enter in the Rafflecopter widget below. This giveaway ends on December 21, 2015 and one winner will be chosen at random and will be contacted via email to claim prize. Please read and follow giveaway rules in Rafflecopter. Good luck! 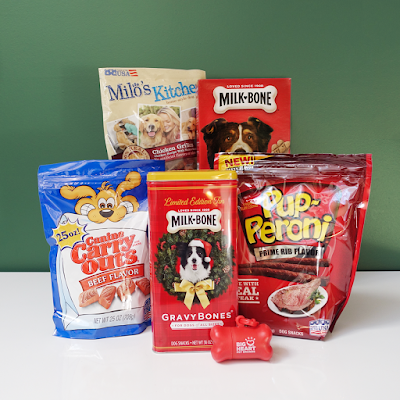 I received a prize pack in exchange for sharing information about how you can treat your pups for the holidays. All opinions are my own as always.